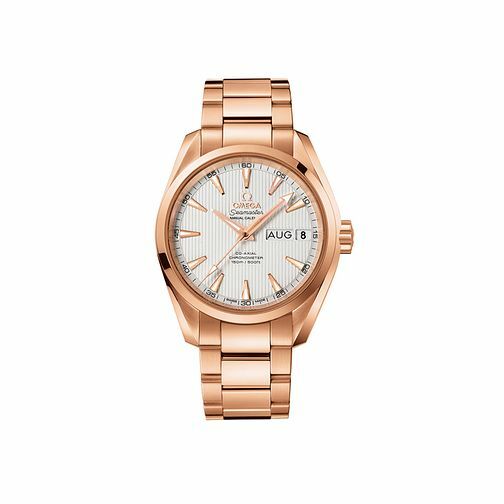 Prestige watchmakers Omega pinpoint Swiss luxury with this men's 18ct rose gold bracelet watch. From the iconic Seamaster Aqua Terra collection, this model is set with a sleek silver tone dial featuring baton hour markers and day and date windows. Powered by chronometer certified automatic movement.